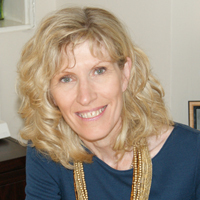 Jeanette Phillips – Founder of the “original” Flexicare Brand. Jeanette has thirty eight years experience in Health and Social Care. With a background as a Registered Nurse (RGN) specialising in Orthopaedics, and Elderly Care. 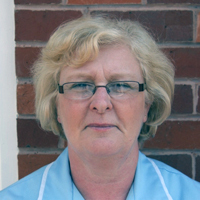 Since 1994, Jeanette has worked in Senior Positions within the Community Care Industry. Passionate about Training and Development of Staff partners with best practice, Jeanettes role is to ensure that the Flexicare ethos and brand standards are preserved with organic growth. Thus ensuring personalised pro active and outcome based care and support is safely delivered. Jeanette also oversees the Flexicare Induction programme a new initiative which is being rolled out across the UK. This incorporates”Skills for Care” Common Induction Standards with the Flexicare Brand. This ensures all staff are inducted a claer understanding about person centred care/support and the achievment of individualised outcomes for Flexicarer Clients. During 2013 Jeanette completed a Level 4 PTTLS course at Bournmouth and Poole College and attended a Bariatric Training Course to enhance her passion of correct Moving and Handling for people in their own homes. Since completing a Post Graduate Certificate in Public Sector Commissioning at Birmingham University,(2013) Jeanette is keen to develop her Consultancy Business ensuring that the governments new vision of safe, effective, responsive caring and well led service for everyone becomes a reality. Anna has been with Flexicare since 2003, whilst working for Flexicare Anna has obtained her NVQ Level 4 in Management and a Level 3 Risk Assessors award. This has enhanced Anna’s knowledge and skills in the industry. 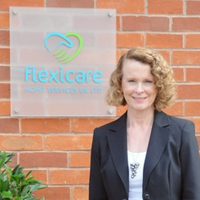 After 6 years with Flexicare Anna applied to the newly formed CQC to become the Responsible Individual for Flexicare Home Services UK Ltd. Anna is passionate about the delivery of exceptional personalised care. 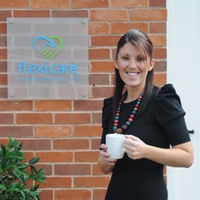 Anna has helped develop the brand in order for Flexicare to go to a wider market. The decision was made that Anna would work also in building the brand in different parts of the country, Anna is still actively involved in the Gloucester Office to ensure standards are exceeded. In her spare time Anna enjoys spending quality time with her two children and family, cooking and gardening. Sarah has over 20 years experience in the care industry. She has completed NVQ 4 in Management and NVQ 4 in Leadership and Management within the Care setting. Sarah is also a qualified level 3 Risk Assessor. Sarah is committed to caring and supporting people to live independently in their own homes. Working together with a strong Management Team she ensures clients receive a very high standard of care delivered with respect, consideration and compassion. Sarah places a great importance on staff training to maintain the high standard of care Flexicare expect from its staff. Sarah has numerous interests including, walking, holidays, her new Granddaughter, cooking and reading. Jenna has worked at the company since 2008 it was in her position as a carer that she became passionate about the Moving and Handling of People. Throughout her 1 ½ years as a carer Jenna became interested in the running of the business and managed a small patch in the Gloucestershire Area, which gave her added responsibilities. As her responsibilities grew Jenna completed a NVQ 4 in Leadership and in Management for Care Services, it was also around this time that Jenna completed Train the Trainer in Moving and Handling of people programme, enabling Jenna to deliver a high standard of training to the carers. Having an in house Moving and Handling Trainer means that Jenna can liaise with Occupational Therapists to tailor make a package suited to the individuals moving and handling needs. Jenna now works in the office as a General Manager/Care Co-ordinator. Jenna’s hobbies include family interactions, holidays, pets and camping. Lynne has worked in the Care Industry for seven years. This has included working in a hospitals and nursing homes. Although Lynne is still working in the Community as a Team Leader she carries out various duties in the office, and has recently qualified with QCF Level 5 in Leadership and Management with Gloucestershire College. Lynne is also the Health and Safety Officer. In her spare time she enjoys reading, travelling abroad, Touring with her caravan, Family involvements, going to the Cinema, reading Cooking and entertaining. 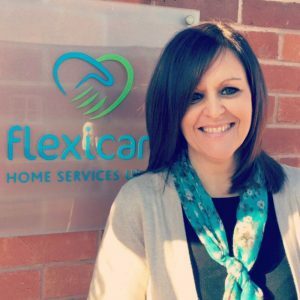 Julie has been working at Flexicare since 2010, Julie Started as a community Personal Assistant then started working as a care coordinator in 2014. She is responsible for insuring all clients are cared for. 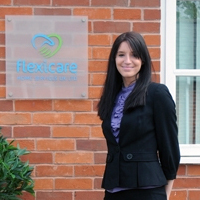 Julie works closely with the Flexicare Staff and has fantastic relationships with everyone within the company. Julie teaches Health and safety, Fire Safety and Nutritional Training. She also over sees the running over the Care Certificate. Julie enjoys spending time with her friends and Family and loves going to the gym. Kay has been working at Flexicare since 2015, starting in the community as a personal assistant in the Gloucester area, and then in 2017 moving into the office for the newly opened Stroud Hub. Here Kay is the HR Manager and is in charge of recruiting staff. Kay works very closely with the Flexicare staff and is passionate about staff providing the best quality care, enabling people to remain in their own homes. Kay’s previous background of study and employment has been in Midwifery. Kay has gained The Care Certificate and also the QCF level 3 in Health and Social Care since working with Flexicare. Kay leads a busy life, and in her spare time enjoys being with her 3 children, walking her beloved Chihuahua Bella, and gardening.